Enhance your interior design personality and style with transformational home decor accents direct from our fabric workroom. Custom draperies, swags, valance and cornice top treatments, roman shades and drapery panels, custom furniture, banquettes and reupholstery in Crystal Lake, Illinois. At Spiritcraft Design, we enjoy allowing our clients the opportunity to enhance their interior design style and decor personality. We offer the level of design assistance desired and requested of us, but never push our design agenda upon a client. We have the experience, forethought and dedication to service that allows each of our clients the greatest decor splash for their interior design and decorating budget. Buy direct from our workroom. At Spiritcraft Design, we operate our own fabric workroom and upholstery shop which assures the highest quality, personal attention to detail, exceptional customer service and attention to detail. Because we design and craft each decor item that we provide to our clients, we can offer an infinite level of design flexibility as opposed to being limited to a "workroom catalog". Our fabric window treatment clients benefit in buying direct as we are the designer and workroom, thereby eliminating the middleman. We believe that custom made window treatment, top treatment and drapery installations allow the greatest interior decor transformation within any interior design budget. We design towards our clients style and offer custom made window treatments, draperies, valance and cornice top treatments, swags, jabots and roman shades to enhance their home decor style and interior design personality. Discover the advantages of window shades, blinds and shutter treatments for your home decor. 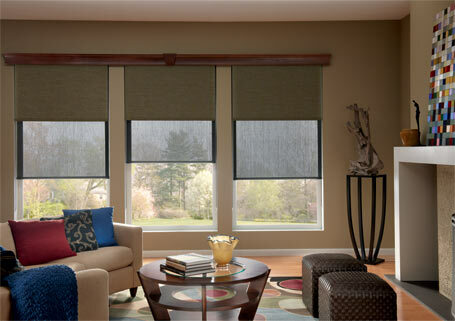 Window shades and blinds can enhance your interior design scheme while providing energy efficiency and light control. Combine shades, blinds and shutters by Graber, Hunter Douglas and Norman with fabric window treatments unrivaled home decor. With our experience in crafting fabric decor and in furniture making, we provide our clients with the finest quality upholstery service. 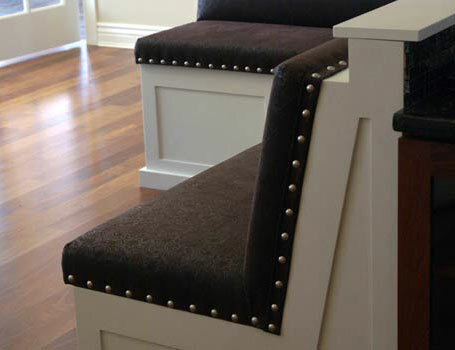 We offer upholstery services including custom upholstered seating, upholstered benches and chairs, custom furniture and, of course, Reupholstery. We design and craft wonderful upholstered seating such as custom banquettes, benches and booths, dining and club chairs, custom made sofas and more. 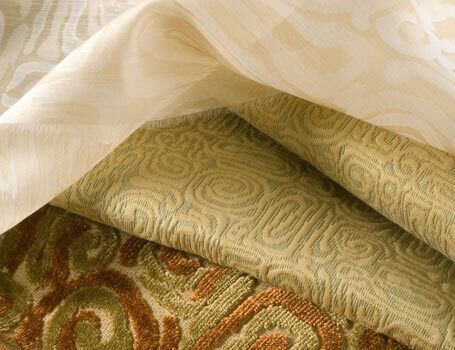 At Spiritcraft Design, we offer a complete line of designer fabrics in a vast array of patterns, styles, fabric types at pricing for any interior decor budget. We offer in-home fabric selection & color consultations, field trips to the "mart" or Arlington Heights design center or welcome you to our design showroom in Lake Geneva. Fabricut, Kravet, RM Coco, Highland Court, Robert Allen, Lee Jofa, Barrow and S. Harris are among the many names offered. We offer our clients handcrafted throw pillows, custom bedding, padded and fabric headboards and cushions in unique and thoughtful designs. As focal point or an accent, our home decor accessories can transform a room. Accentuate your decor personality with Spiritcraft Design. 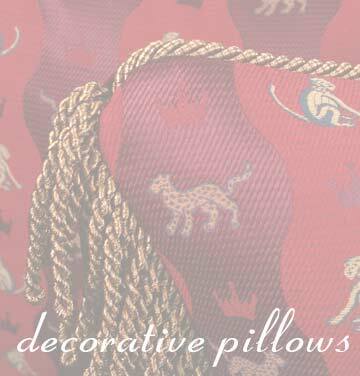 Visit spiritcraftpillows.com to view our renowned decorative pillows in our online boutique. Spiritcraft Design is a small, woman owned, interior design firm with both a fabric and upholstery workroom with locations in Crystal Lake, Illinois and East Dundee, IL. We serve residential home decor and commercial clients both locally and nationally. We offer design and color selection services and unsurpassed craftsmanship in our renowned handcrafted window treatments, decor accents and custom upholstery and furniture. Our new Chicago loft style design showroom is open at 7 Jackson Street in East Dundee, IL. Our tops feature our legendary perfect glue lines and our kiln dried hardwoods are of the highest quality. 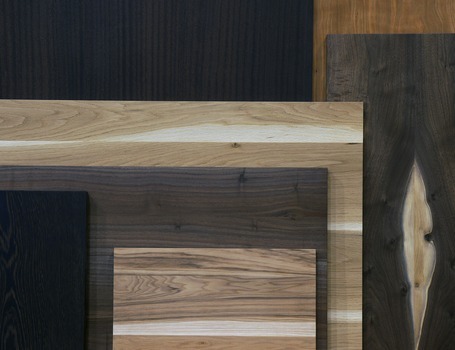 We offer our hardwood tops in virtually any size and in square, round, rectangular, oval and custom shapes and in standard thicknesses from .75" to 1.75". The hardwood lumber for each and every table top is hand selected to provide the greatest eye appeal and they are finished in our easy maintenance and durable, low VOC polyurethane finish. You will find that our custom made solid hardwood table tops offer the premium quality you demand and represent a value in the marketplace. 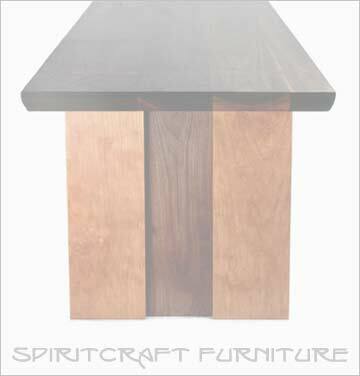 Learn more at spiritcraftfurniture.com/custom-tops. Our mission is simple, to provide our clients with unmatched services and decor products from the design consultation to the finished product. We believe that we offer a unique opportunity for our clients as they buy locally while working directly with our small group of interior decor professionals. Our clients receive more for their investment in custom window treatments and home decor accents through our design expertise and our exemplary personal service. The Spiritcraft Design Group is located in Crystal Lake and East Dundee, Illinois and serves the Barrington, Arlington Heights, Algonquin, Libertyville, Long Grove, Vernon Hills, Lake Forest, Cary, Lake Geneva and Glenview areas in the Chicago suburbs. We also have a long list of loyal national clients who have patronized us for window treatments, decorative pillows and furniture. 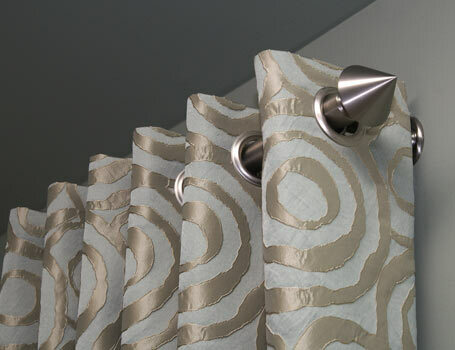 Our custom made window treatments, draperies, designer pillows, cushions, roman shades, valances and other interior design items are designed to enhance our clients style and are sewn to the highest designer standards in our Crystal Lake, Illinois and East Dundee, IL fabric workrooms. 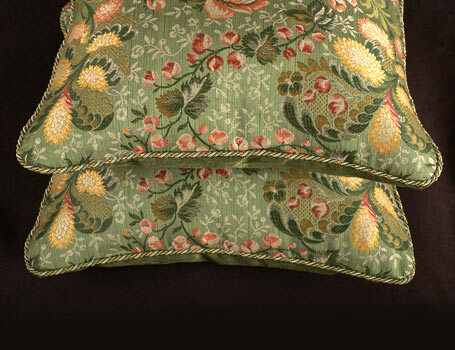 Discover our online decorative pillow boutique. Spiritcraft Pillows features Malgorzata's renowned throw pillows in her original designs handcrafted in our fabric workroom. 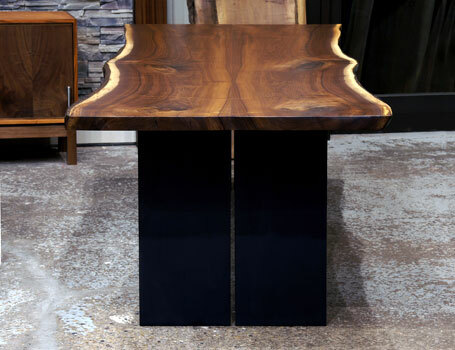 Our handcrafted live edge slab Walnut tables, custom hardwood tops and furniture, made from select kiln dried hardwoods. 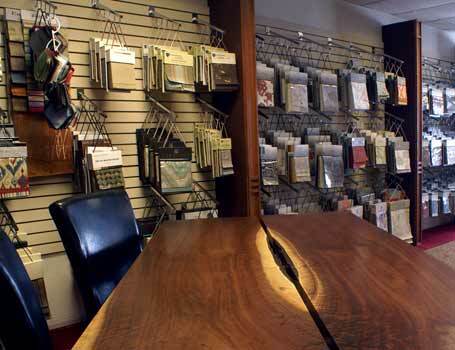 We specialize in custom tops in Walnut, Cherry, Maple, Sapele and other hardwoods. 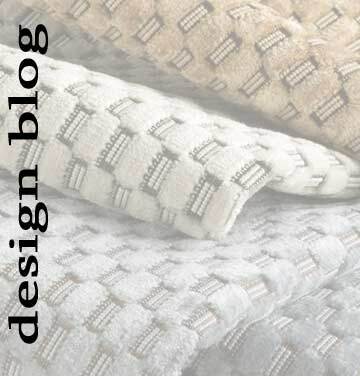 Interior decor blog featuring window treatments, decorative pillows, fabrics and furniture by Spiritcraft Interior Design of Crystal Lake and Dundee, IL. Thank you for visiting Spiritcraft Design. Please feel free to explore the links provided here for more information regarding Spiritcraft Design, our services, our products and for info regarding our related companies.